Pampas grass — also known by its scientific name, cortaderia selloana — is the year’s newest (and most surprising) trend. Who knew we’d collectively fall in love with grass, of all things? These gorgeous waving wheat-toned grasses recall vintage gardens and pastoral pastures. Just one stalk perfectly complement’s modern decor: minimal white walls look all-the-more better with a stalk of pampas grass adding fluff and texture. Millennial pink, paired with this lush floral, feels like it could persevere another decade. Black walls are beautiful — and totally on trend. But pulling off such a dramatic shade requires a careful eye for color and contrast. The plant is a perfect addition if you’re aiming to create a mystic and moody escape. 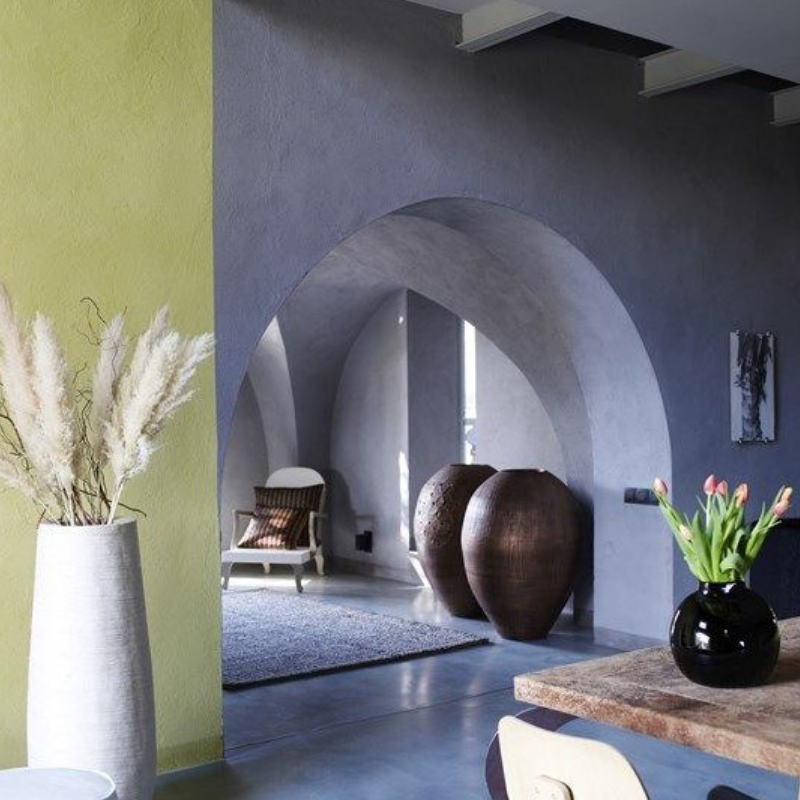 This gorgeous color feels sleek and modern, and it’s a cozy backdrop for an intimate space. Pair with warm browns and fluffy pillows to play up the soft color. 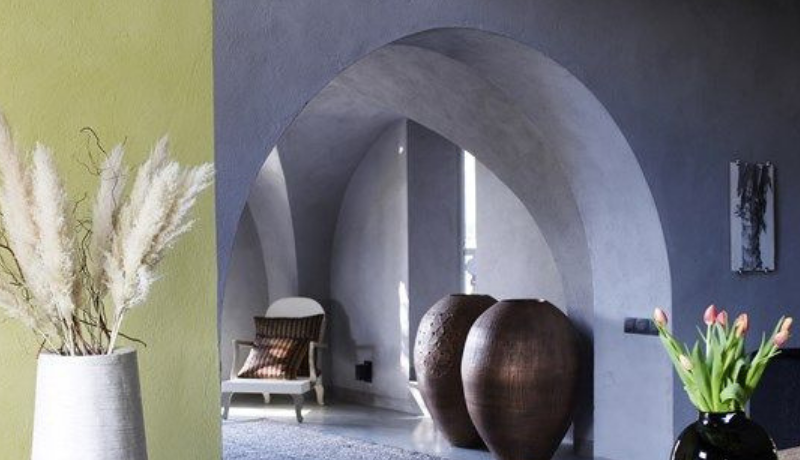 Pampas grass spread against the wall adds just enough natural texture to complete your boho-chic look. For some of us, buying oversized vases is an unbreakable habit. What will we do with them? No idea! Do we still want them? Always! Luckily, the trend provides the perfect vase-filler. Plop a larger-than-necessary (or perfectly sized?) vase on your sitting room floor and let those stalks shine. The feathery plumes give any space an airy feel. Your bedroom should be a safe space from the wild world outside. Every inch must feel intentional; every accent, carefully chosen. Once you’ve feng shui‘d the space into zen-like state, adding some pampas grass could set your meditative room into nirvana. Fill a large glass jar with pecans to create a custom pampas grass display. She showed off her creation in the kitchen window, but place your waving stalks anywhere you please — like the living room floor or even the back porch — to give your next dinner party plenty of rustic-glam appeal. Wreaths aren’t just for Christmas time. They add pizzazz to your door all year round — and a pampas grass wreath is a lovely way to celebrate the end of summer and beginning of autumn. Creating your own wreath lets you show off your creativity to the world. Pampas grass looks darn good floating above your elegant tablescape. A few stalks will make your plain dining room look expensive.